J.R. Hipsky (Owner/Instructor) is an ISTD-certified international standard and latin ballroom dance instructor and co-owner of Dynamic Ballroom. He began ballroom dancing in his hometown of Pittsburgh, PA, where he didn’t know ballroom dancing even existed until trying a Jitterbug dance class at a church hall outside of the University of Pittsburgh campus just out of high school. That class quickly led to other classes and styles of dancing, which would eventually lead to a teaching position at a franchised ballroom studio in Pittsburgh. He started teaching in Pittsburgh and later moved to teach out of a franchised studio in Bethesda, Maryland as well for several years. After spending a few years teaching social ballroom dancing, he became passionate about learning the competitive style of DanceSport, and International Latin and Standard styles of dance. He began competing as an Amateur dancer with a few different partners, becoming more and more obsessed with obtaining as much training in this sport as possible. At the age of 28, he decided if he was going to call himself a professional ballroom instructor, he ought to be learning from some of the best coaches the country, and even world, have to offer. In August of 2005, a friend drove him from Pittsburgh to New York City and he stayed there to train for six years. It was here that he met his dance partner and future wife, Christine. Together they trained in NYC for six years and were coached by many of the top professional DanceSport coaches in the world and competed in International Latin and Standard all over the country as well as venturing to England for the Blackpool Dance Festival. Christine and J.R. were married in 2008. They continued to dance and compete in NYC, and in 2011 moved to Charlotte, North Carolina where they have finally been able to live out their dream of opening a ballroom dance studio. Welcome to Dynamic Ballroom! Christine Hipsky (Owner/Instructor) danced ballet, jazz and tap as a child, and began her ballroom dance career at 16, where she learned just enough of the basics at a local ballroom studio to spark her interest in the dance style. 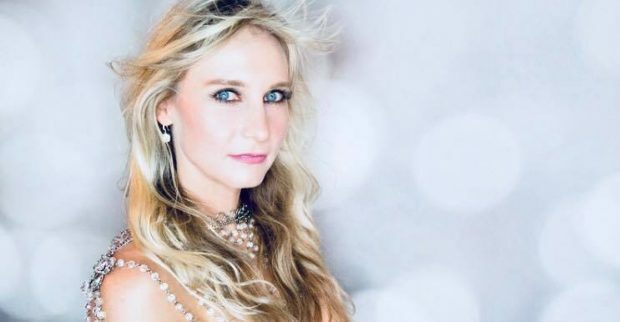 She then joined the Ballroom Dance Team at Ohio State University, where she competed in International Latin and Standard, American Rhythm and Smooth, taking home the title of National Collegiate Latin Champion during her junior year. She cross-trained in ballet, modern and jazz with the Dance department at Ohio State. After graduation she moved on to compete with the Cornell DanceSport Team. She coached a formation team and continued to compete at collegiate competitions. She also taught Cornell University’s Ballroom Dance course for two years and trained in ballet and modern with the Cornell Dance department, and began studying West African Dance. She performed with the Sabor Latino Latin Dance Ensemble , including the dance styles: Salsa, Merengue, Reggaeton, Tango and Latin Pop. In 2004 she decided to take her dancing to the highest level and moved to New York City in search of some of the best training in the world. This is where she met J.R., and they began their Amateur partnership. Together they trained in NYC for six years and were coached by many of the top professional DanceSport coaches in the world and competed in International Latin and Standard all over the country as well as venturing to England for the Blackpool Dance Festival. In NYC, she also trained in Ballet, Jazz, Brazilian Samba, African Dance, and pursued her Zumba certification and enjoys creating challenging, up-beat classes for dance and fitness lovers. 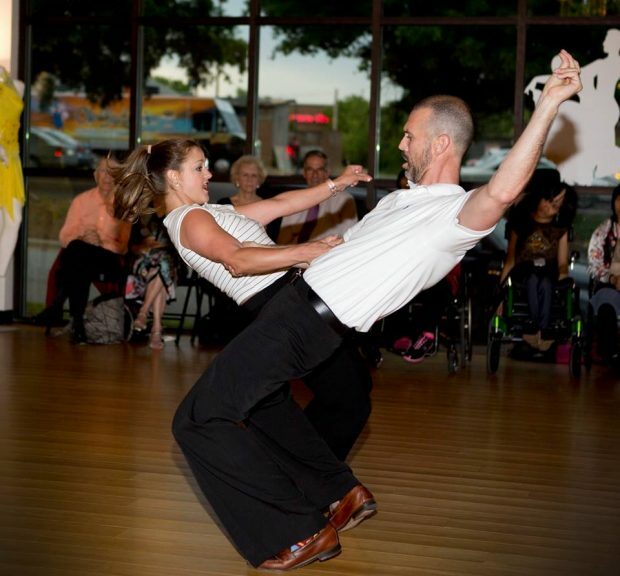 In 2011 Christine & J.R. moved to Charlotte, North Carolina where they have finally been able to live out their dream of opening a ballroom dance studio. Welcome to Dynamic Ballroom! Ellina Veres (Instructor) was born in Stavropol, Russia, and has been dancing her entire life. Her mother worked as a professional dance instructor and choreographer in the Soviet Union, and passed on her passion for the arts to her daughter. From 3 years old, Ellina was introduced to the fundamentals of dance through Russian Ballet and Rhythmic Gymnastics. By the age of 9, she attended a professional Russian dance academy, where she began training in Ballet, Modern, Jazz, Latin, Folk, and Character Dancing. When she was 16, Ellina and her mother relocated to the United States. She continued her education at the University of North Carolina at Charlotte, where she received her Bachelors of Arts in Dance. While pursuing her degree, she trained with several nationally recognized coaches. 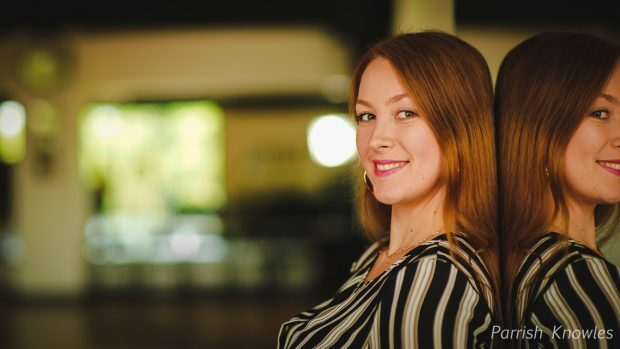 Ellina has dedicated her career to the art of dance, and shares her lifelong passion by teaching, coaching, and choreographing both youth and adults around the Charlotte Metro area. Kiril offers high-energy Zumba and Kardio Mix classes where you will experience the ultimate cardio dance, also offers STRONG by Zumba™ – a high intensity interval training workout. All Zumba classes are $5 drop in, come check it out and experience the difference with Kiril! Stephanie began studying dance at an early age, starting with Ballet and moving on to Modern, Jazz, and Tap. 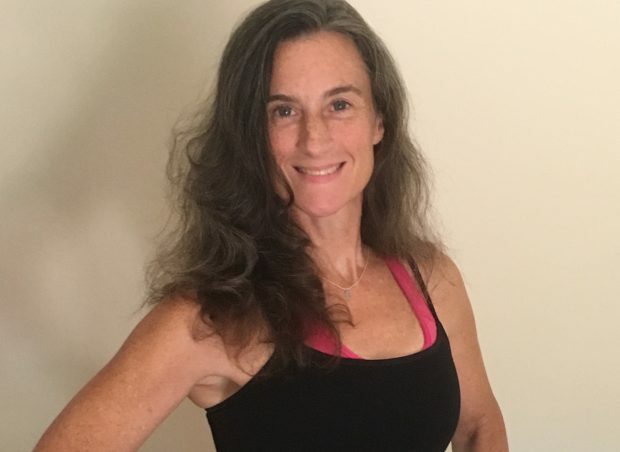 After earning a BFA in Dance Pedagogy at the University of Hartford/School of the Hartford Ballet, she taught in Pennsylvania and Connecticut while beginning to experiment with partner dancing. After a few years, Stephanie moved to Philadelphia to direct a ballet program and began teaching Ballroom and Latin. After a brief time competing in International Latin, Stephanie began competing professionally in Hustle. After winning many Hustle championships and becoming one of the premiere Hustle dancers, she started competing in West Coast Swing as well. In only a few years Stephanie has reached the All-Star WSDC points level, and begun to work her way up in the West Coast Swing community. She has also continued teaching many forms of dance including American Smooth, American Rhythm, Ballet, Jazz, and Modern. Since moving to Charlotte from Philadelphia in 2017 Stephanie has begun teaching classes in the Lake Norman and Charlotte area, as well as travelling the country competing, teaching and judging. Her versatility has created a great knowledge base and a special style that she is happy to share with anyone willing to learn! Stephanie has expanded her reach by joining forces with Angela McCabe to create Sparklage Productions. Together they host multiple events in the Philadelphia area, including Swustlicious: The Ultimate Crossover Social, a West Coast Swing and Hustle competition. 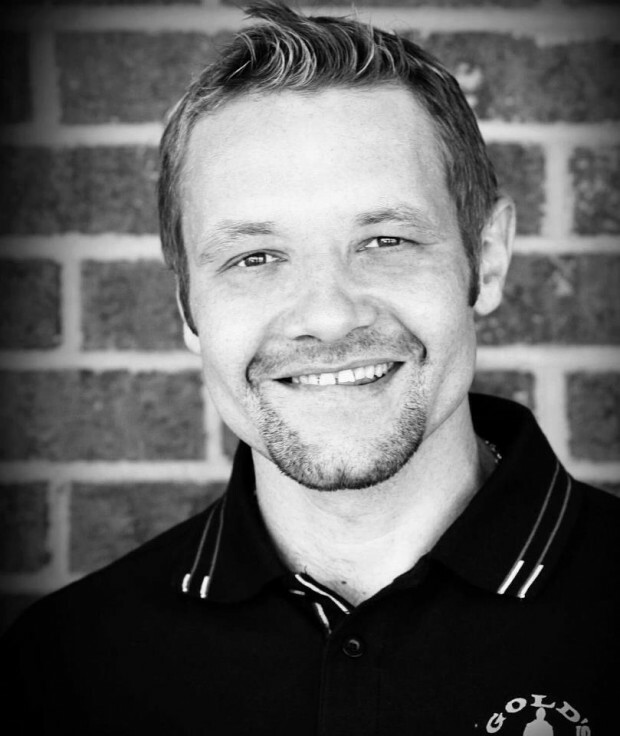 Dirk is one of our most experienced instructors in ballroom dance! Offering private lessons in ballroom, latin, wedding dance, line dance, shag, and much more. Steve is a National Shag dance champion, who teaches our Shag classes on Monday nights, and also offers. Amy offers Cardio Dance and Tai Chi Classes on Friday mornings. Cardio Dance is a fun way to get a mental and physical conditioning workout. Move to your favorite pop, hip hop, and world music tunes while you sweat away calories. Tai Chi is a slow moving practice that releases tension in the body and mind. As the body relaxes it begins a natural healing process. As the mind relaxes, it frees you from distractions.